This monograph presents theoretical methods involving the Hamilton-Jacobi-Bellman formalism in conjunction with set-valued techniques of nonlinear analysis to solve significant problems in dynamics and control. 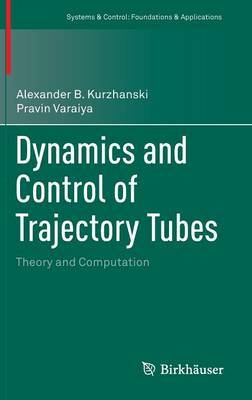 The emphasis is on issues of reachability, feedback control synthesis under complex state constraints, hard or double bounds on controls, and performance in finite time. Guaranteed state estimation, output feedback control, and hybrid dynamics are also discussed. Although the focus is on systems with linear structure, the authors indicate how to apply each approach to nonlinear and nonconvex systems. The main theoretical results lead to computational schemes based on extensions of ellipsoidal calculus that provide complete solutions to the problems. These computational schemes in turn yield software tools that can be applied effectively to high-dimensional systems. Ellipsoidal Techniques for Problems of Dynamics and Control: Theory and Computation will interest graduate and senior undergraduate students, as well as researchers and practitioners interested in control theory, its applications, and its computational realizations.